Gabby Gabreski scoring his 28th and last aerial victory of WWII. For canvas prints click here. Col. Francis Gabreski manoeuvres his P-47D to avoid overrunning his victim for his twenty-eighth kill of WWII On July 5, 1944. Seconds later, the German pilot bailed out of the burning Me-109 over Evreux, France. This was Gabreski's last victory of WWII. 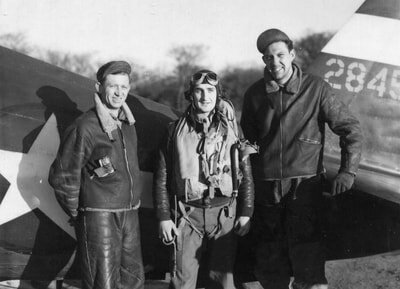 Fifteen days later he was made a POW after he got too low on a strafing run at Bassenheim airfield, struck the ground and was forced to make an emergency landing. 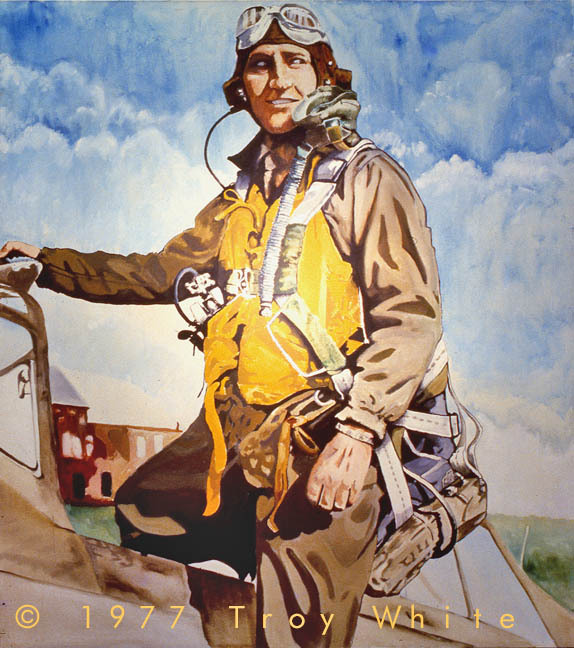 Even though it would be another 10 months before the war came to an end his score of 28 aerial victories made him the Top American Ace of the ETO. Gabreski went on to 6.5 victories while flying F-86 Sabres with the 4th FIW and the 51st FIW in Korea. Born in 1919 to Polish immigrants Francis Gabreski studied for two years at Notre Dame University before enlisting in the US Army Air Corps as an aviation cadet. 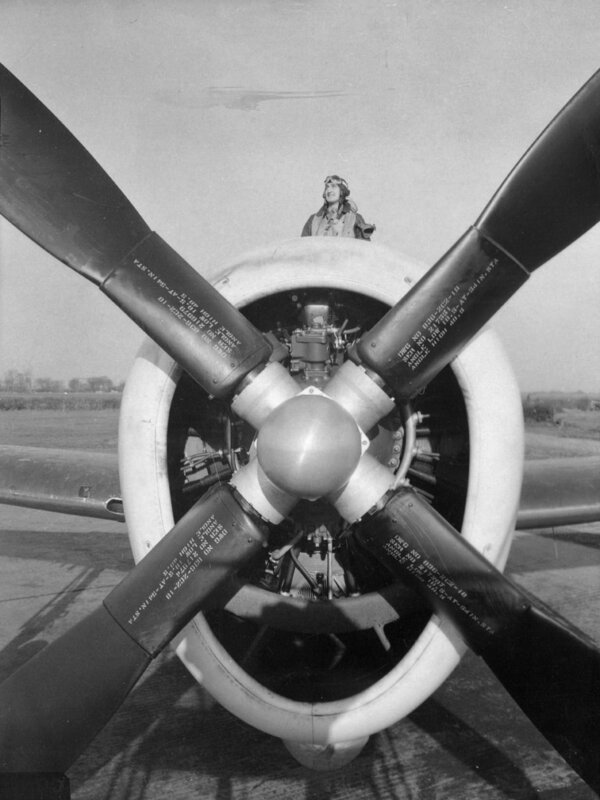 He was commissioned as a Second Lieutenant in March 1941 and was flying P-40s with the 45th PS, 15th PG based at Wheeler Field, Hawaii when the Japanese attacked Pearl Harbor. 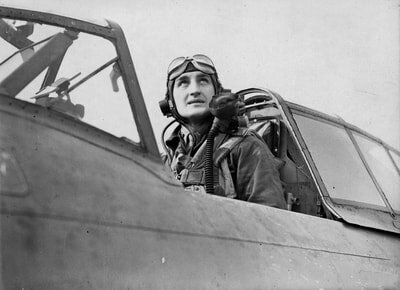 Because of his ability to speak Polish he was able to get himself assigned to fly Spitfires with the crack 315 "Deblinski" Squadron which was manned by Polish pilots. He flew 20 missions in Mk IX Spitfires with the Poles before reporting for duty with the 56th FG which would become known as "Zemke's Wolfpack" after their commanding officer Hub Zemke. 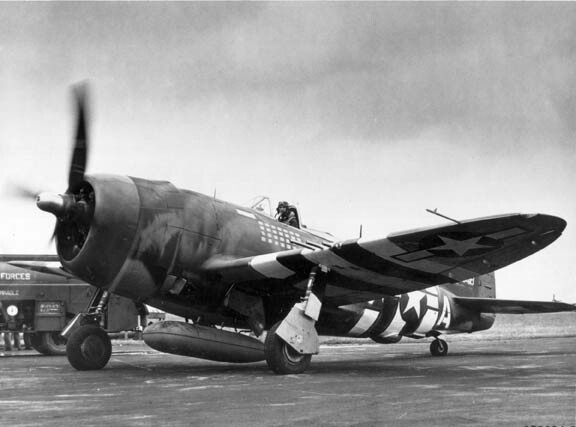 The 56th was equipped with America's massive fighter, the P-47 Thunderbolt and was the only American fighter group in the 8th Air Force which would fly the P-47 exclusively until the end of hostilities. Gabreski scored his first victory on 24 August 1943 and became an ace on 26 November 1943 after destroying two Me 110s near Oldenburg. 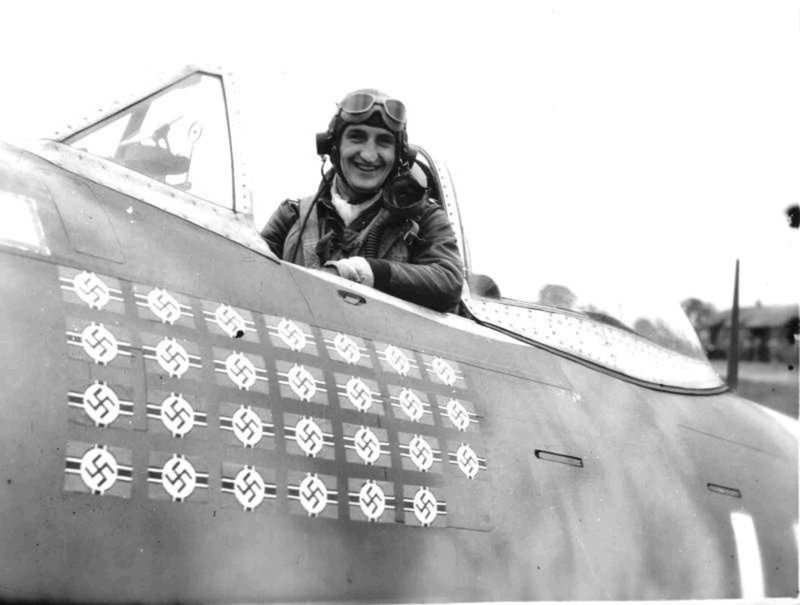 Gabby's score continued to rise throughout the first half of 1944 and on 22 May he destroyed three FW 190s and probably destroyed a fourth bringing his score to 22 confirmed victories. On 27 June he broke Captain Eddie Rickenbacker's WWI record with his 27th victory. The score of 28 confirmed victories which he achieved on 5 July 1944 was never equalled by an American pilot in the European theatre of operations. 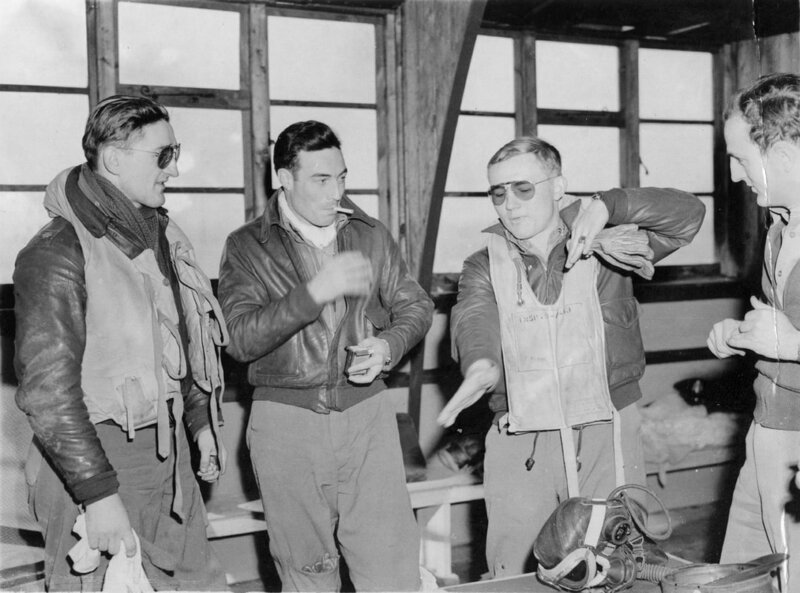 Having reached 300 combat hour limit for US fighter pilots Gabreski's bags were packed for a trip back to the States for R&R but he elected to go on one last mission and as stated above became a POW after striking the ground. When the Korean War broke out it wasn't long until Gabby found his way to it. Midway through 1951 he was at Kimpo AFB flying the F-86 Sabre with the 4th FIW. He shot down three MiGs with the 4th before he moved to Suwon and converted the 51st FIW from the F-80 to the F-86 in less than two weeks. 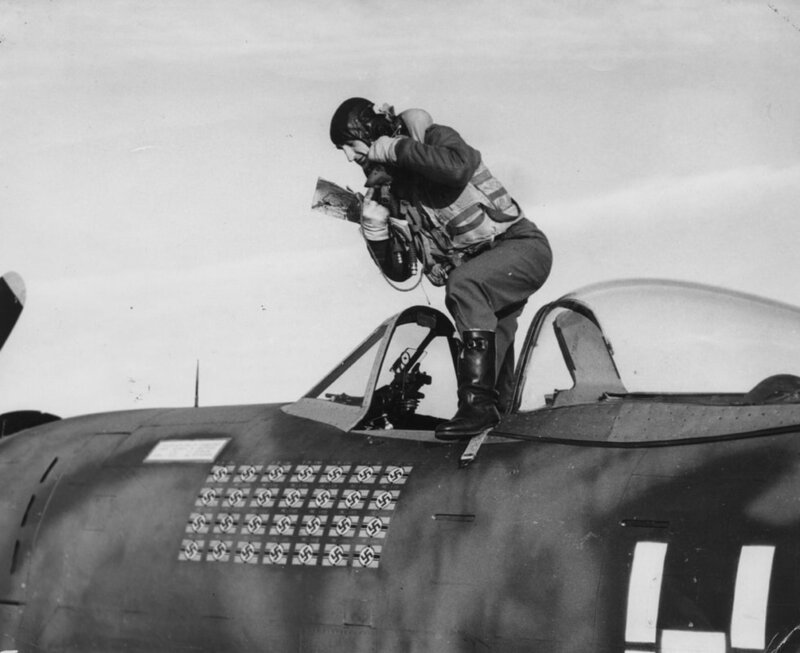 Gabreski scored 3.5 more victories in Korea making him one of a handful of US fighter pilots who became aces in two separate wars. 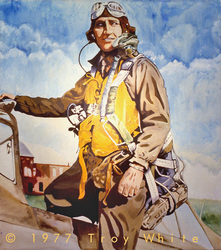 Gabby retired from the Air Force in 1967. He passed away in 2002. Open Edition Canvas Giclée Print. 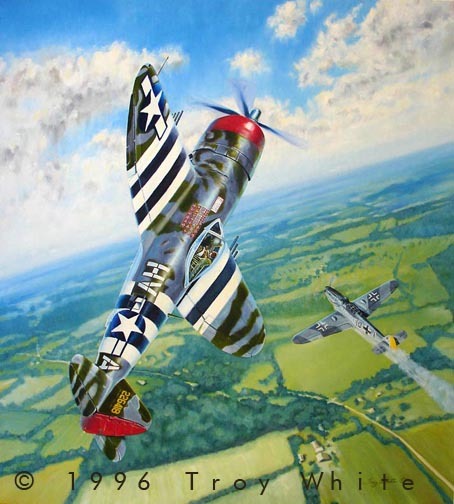 Image size: 18"x20"
Col. Francis Gabreski manoeuvres his P-47D to avoid overrunning his victim for his twenty-eighth kill of WWII On July 5, 1944.